Jamie Oliver – fantastic performance in his first game of football in three years. Khalsa stumbled their way into the preliminary round of the FA Cup, narrowly beating neighbours Tividale thanks to a Jay Holdcroft winner. But to say Ian Rowe’s troops rode their luck would be understatement of the century as the visitors dominated long periods of the game and hit the frame of the goal on four different occasions. With a hugely depleted side, Khalsa were forced to deploy midfielder Alex Woodhouse at centre half again and draft in Jamie Oliver at left back for this first game in three years, turning in a fantastic performance along the way. Tividale’s first brush with the woodwork came after just six minutes, Dan Smith striking the post after Khalsa failed to clear their defensive lines, a just representation of the early stages which were dominated by the visitors. It was a bit of a surprise when the home side took the lead on 13 minutes, Josh Thomas grabbing the first Sporting Khalsa goal on their new playing surface with a smart finish past Ryan Cheshire after great work down the right by Garfield Robinson. Debutant Dan Westwood – fresh off the plane from a holiday in South America – forced Cheshire into action a few moments later as the game settled into a pattern of end to end action. Tividale dangerman Demetri Brown – whose battle with Khalsa skipper Tes Robinson was one for the purists throughout – produced some wizardry down the right and set up Smith who again was unable to convert while at the other end a tantalising cross by Thomas almost found his captain at the far past. The woodwork was hit for a second time on 32 minutes, this time with Khalsa left ruing their misfortune as Garfield Robinson twisted and turned before hitting a shot off the crossbar. Dave Meese was guilty of an awful miss on 39 minutes, putting a simple finish to a good move wide of the post after splendid build up play by Alex Melbourne and Alex Perry. And Tividale capitalised almost immediately, Brown rifling home a superb finish on the break. With their tails up heading towards the interval, Sam Arnold made a good save to deny Darragh Bustin as he rampaged up the left flank and cut inside. The second half appeared more like a basketball game than a football match with the game absolutely wide open. 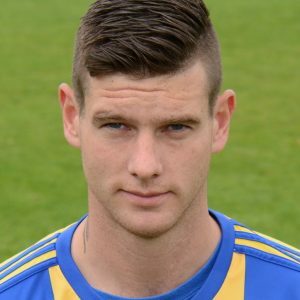 Oliver produced a great tackle to stop Brown on the break, almost certainly preventing Tividale tacking the lead on 58 minutes and Brown was denied again shortly after by a good save by Arnold. On the hour, Rowe brought on Mensah Kinch and Holdcroft for Thomas and Garfield Robinson, a move that brought almost immediate results when Holdcroft slotted home from close range for what would eventually be the winner. From hereon in, the visitors were rampant, throwing the kitchen sink at Khalsa but finding Arnold’s goal led a charmed life. Tividale hit the bar again on 70 minutes, Brown’s chip pushed onto the woodwork by Arnold and three minutes later Liam Wilkinson fired just wide. After Smith again hit the crossbar on 83 minutes, Tes Robinson produced a quality block to deny the same player less than a minute later. Holdcroft might have wrapped it up on 85 minutes, heading wide with a free header from Lee Chilton’s cross. And then deep into injury time, the powerhouse striker Tyree Clarke bulldozed his way into the box and fired what looked a perfect shot from the moment it left his boot, beating Arnold’s despairing grasp only to bounce back off the post and into the arms of the grateful goalkeeper. The victory means Khalsa face Stourport Swifts in the FA Cup Qualifying Round on Saturday August 25 and both sides get a chance to get a look at one another on Tuesday when Khalsa host Swifts in the league (kick off 7.45pm). Sporting Khalsa: Sam Arnold, Alex Melbourne, Jamie Oliver, Alex Woodhouse, Tes Robinson (captain), Alex Perry, Lee Chilton, Dave Meese, Dan Westwood, Josh Thomas (Mensah Kinch), Garfield Robinson (Jay Holdcroft). Subs not used: Vidal Hendrickson, Calum Cooper, Dale Reaney.